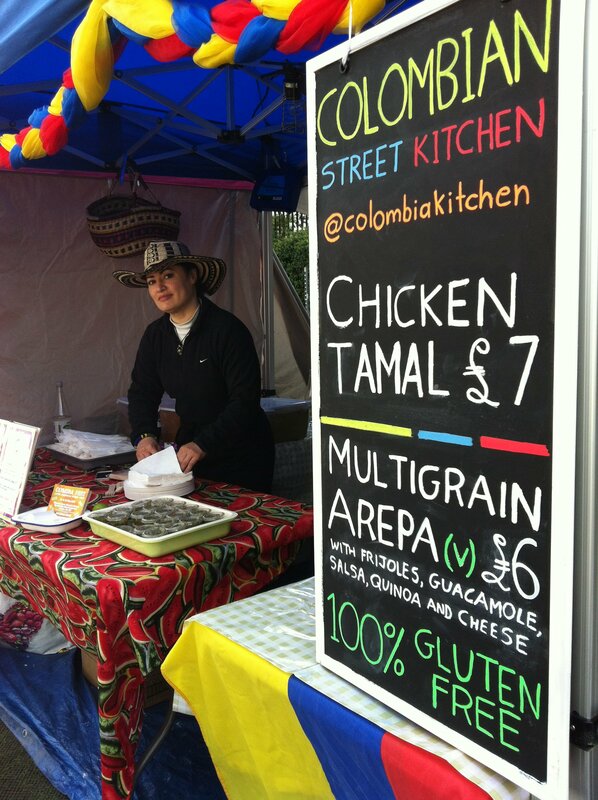 Colombian Street Kitchen is a UK street food business delivering authentic, high-quality Colombian cuisine to the British market. Our core products are street food items based on traditional Colombian recipes such as empanadas, tamales and arepas. We use locally sourced ingredients where possible and provide options for vegan, gluten-free and dairy-free customers. Since August 2014, Colombian Street Kitchen has travelled across the city feeding hungry Londoners with delicious Colombian street food. This includes stalls at popular food markets, supporting local craft beer breweries and running a pop-up shop on Camden High Street. We have held successful kitchen takeovers in Brixton, Hackney, Walthamstow, Hoxton, Peckham and Highgate Village. We have also taken part in the Colombian Food Festival in both 2014 and 2015. We had a stall at all three Comida Fest Latin American street food festivals on the South Bank in April, May and June 2016. In 2016, Colombian Street Kitchen ran the restaurant at a hotel in Wood Green for six months, serving an exciting range of Colombian dishes and gaining excellent reviews. Our most recent residency was at blend - Harringay n Green Lanes, which ran for seven weeks during Summer 2017. 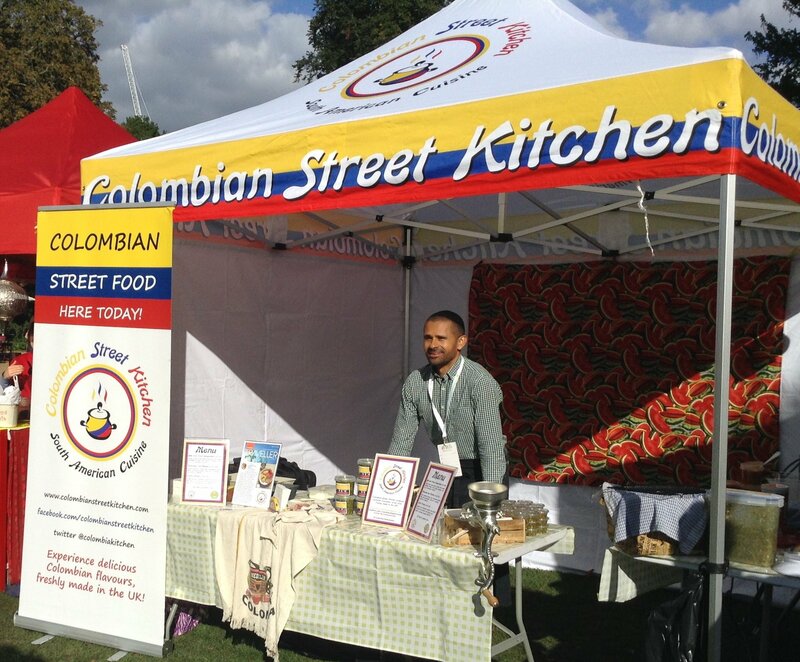 Colombian Street Kitchen is a member of the Nationwide Caterers Association. View our NCASS profile.